Have you noticed how many women farmers there are these days? Women farmers are taking over. According to the 2012 Ag Census, women farm operators consist of 30% of farms in the United States. These are the women who are in charge of the day-to-day farming operations. That number is growing day by day. 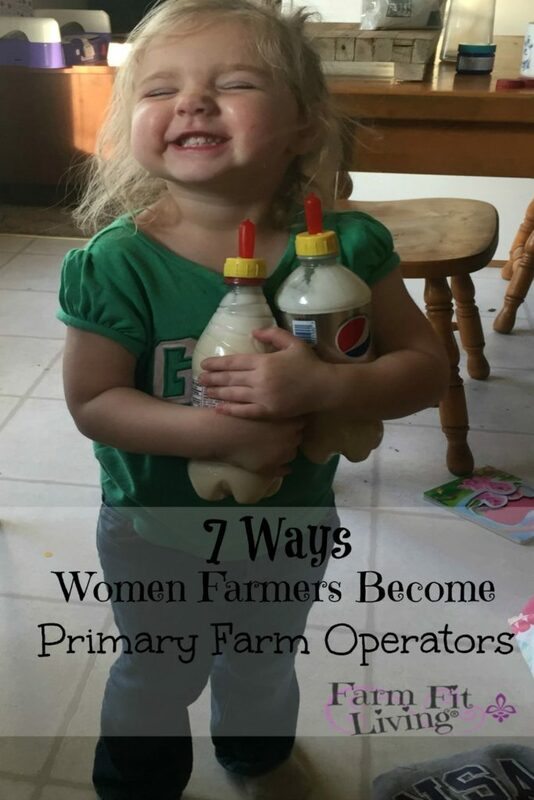 There are even more women who are not primary farm operators that are involved in the farm somehow. You might fall into this category. You pick up parts, deliver lunch to the field, or transport the farmer from one field to another. Have you ever wondered how you could be more involved in the day-to-day operations? This is a hard one to scramble. Truth is, the more involved women farmers are in the day-to-day operations, they more skills they learn. The more they learn, the more valuable women farmers are to the farm. That’s how I learned the skills I know. And how I became a primary operator of day-to-day operations of our farm. My husband Matt and I bought our very first farm in the spring of 2009. It was just the two of us at the time. We both worked agricultural-related jobs in town to help pay for the farm operations. In those early days, I learned how hard it was to start out. I remember thinking how crazy expensive everything was (is). Some pretty high-value decisions were to be made that can make or break a young farmer’s new operation in a heart beat. Those decisions of our farm were made by both Matt and myself. We were a team. We were excited for the future. There were things he was better at, such as crop production and machinery. I was better at birthing animals and took the lead on that. Even though we had our strengths and weaknesses, we worked together to help each other learn. Matt became better and more knowledgeable about kidding out goats. I have learned a lot about operating pieces of equipment. Each of us learned these skills by watching each other. Asking questions and not staying discouraged. Becoming better and believers of ourselves. Finding success in our challenges. Years later, we’ve increased acreage, livestock numbers and have added a couple of cute girls to the mix as well. Times certainly change. As we’ve grown, our farm has grown. Our home has grown. It was getting harder for me as a mother to take my daughter to day care. I wanted to raise my daughter. I wanted to be on our farm. After our second daughter was born in March 2016, we made the decision that I would leave my job. 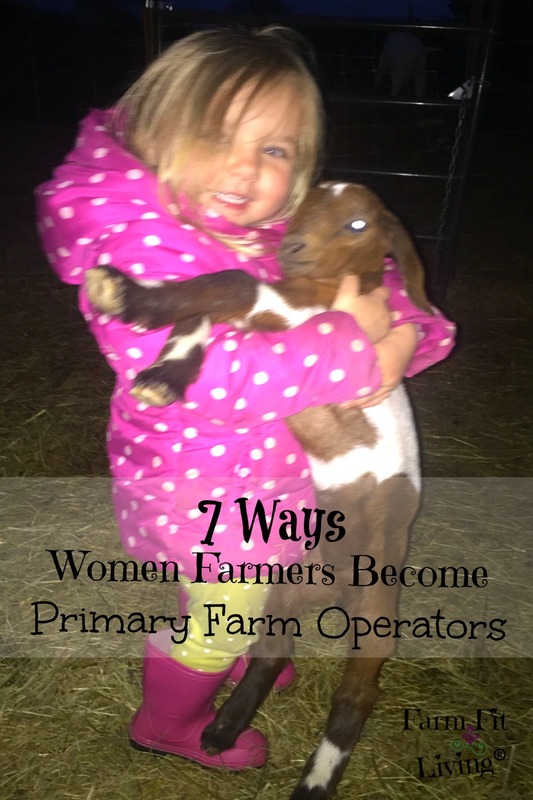 I would stay home with the girls and become the primary day-to-day operator of our growing farm. At first, I was scared to death of the transition to primary operator. I was mostly afraid of leaving the comfortable life of two incomes but I was also afraid of the level of responsibility facing me. Everything was about to change. We would lose one income and gain one more dependent. It would be quite a undertaking to balance my kids plus farm work. Safety was the biggest factor especially since Mylee is so active. Remember this: If you don’t do things that scare you, you won’t get anywhere. You’ll just live the comfort of the same old life. A better life was waiting for us. We had to make this happen strategically. Because Matt and I worked so hard and saved money, we were able to make it happen. This has been our ideal plan all along. Now, it was really happening. It has happened. I am the primary caretaker for our children. I’m the primary operator of our farm. And there’s no typical day anymore. There’s no routine in my life as a woman farmer with two babies. And I wouldn’t have it any other way than to be engaged in this wonderful lifestyle. If you aren’t involved in the farming operation so much, would you like to be? Or maybe you are involved in some way but want to be even more involved! Learn the business of the farm. Learn skills, such as equipment maintenance and care. Know the plan and goals for the farm. Communicate with your partner about what needs to be done. Don’t be afraid to ask questions. Become a self-starter. List making and scheduling helps me to know what needs to be done. Don’t be discouraged. You have a right to learn what you want to know. No one can take knowledge from you. Learn how to manage time and balance your life. All these steps take time. It took me many years until I felt I had learned what I could to become primary operator. I also had to learn to balance my schedule and time between work and being a mother. If the farm job is too dangerous for my children, I planned ahead and found baby sitters. I’m fortunate to have many family members willing to spend time with my girls. Finding childcare for a while is not a hard task. For other jobs not so dangerous, I take the girls with me. For one thing, they are exposed to so much. They learn by watching me do things. My oldest has learned so many skills by watching and asking to do them as well. 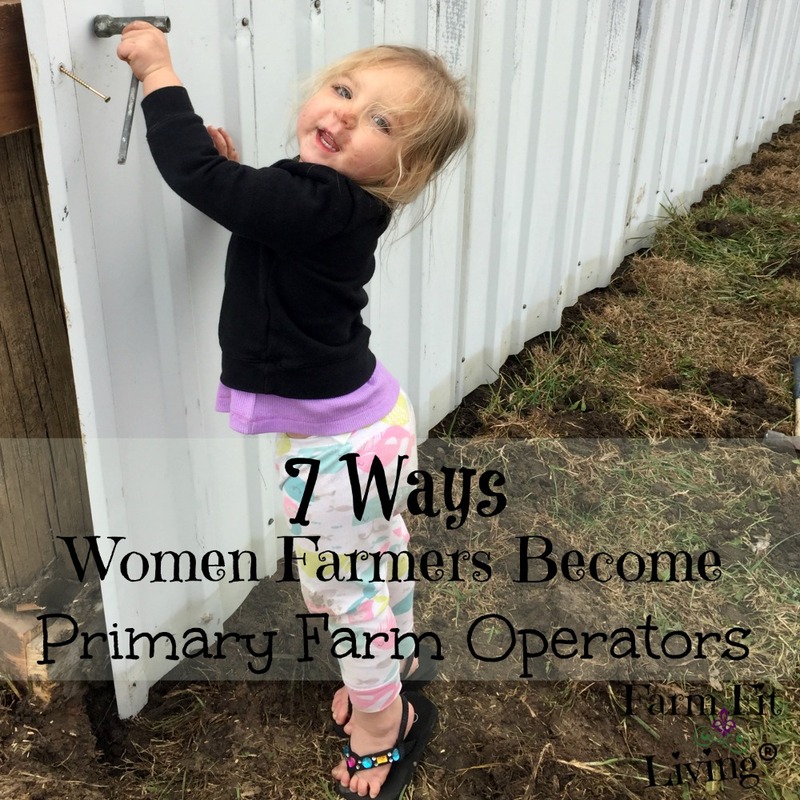 Women farmers are amazing multitaskers when it comes to balancing motherhood, work, and play. Learning to balance key parts of your life does not come easily. But it is very necessary. Balance involves adding or subtracting something to make life work best for you. The 7 steps above are only part of the scenario. We all learn differently. The moral of the story is: You only have one life. If your dream is to work side-by-side your partner and become more involved in day-to-day operations, then don’t start tomorrow. Start today. Learn all you can. Shoot for the moon and find a way. I hope you will continue to follow my journey as primary operator of our farmstead. Stay tuned for the Rural Women Inspired Podcast, which will be launching later this year. This radio show will feature women and men who are making a difference in rural communities, families and farmsteads. 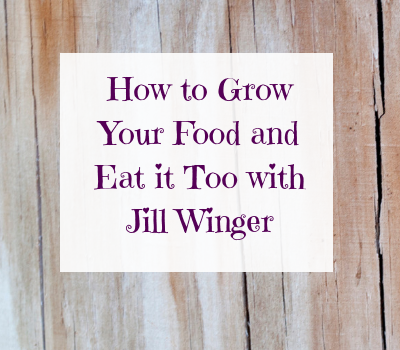 Topics will include: Finding balance, agricultural production practices, backyard business hacks, family & relationships, wellness & fitness tips, and so much more. I can’t wait for you to hear it! You can also continue to follow our adventures on YouTube. Be sure to subscribe to our newsletter and never ever miss a thing from us. As a representative of women farmers everywhere, what would you like to learn more about?